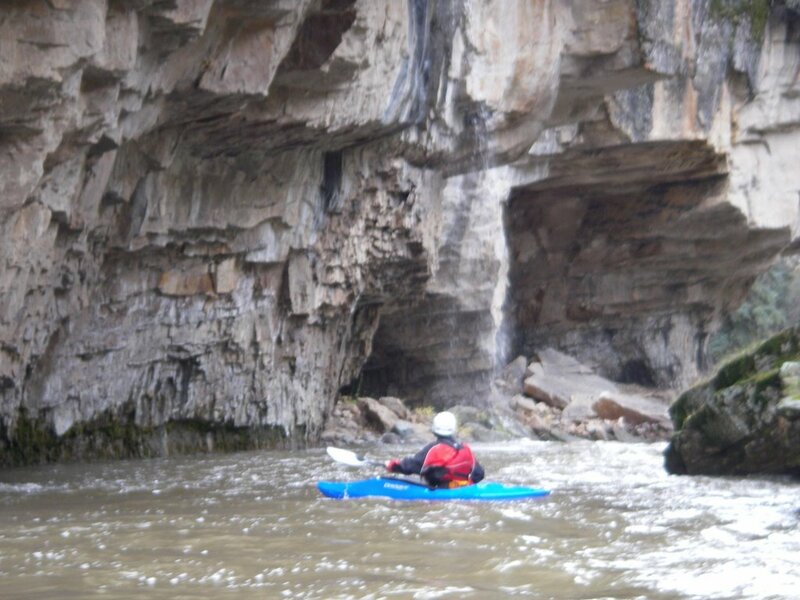 It’s been a great season for Colorado kayaking! A majority of the State enjoyed great flows BUT the southwestern corner suffered due to an extremely low snowpack. 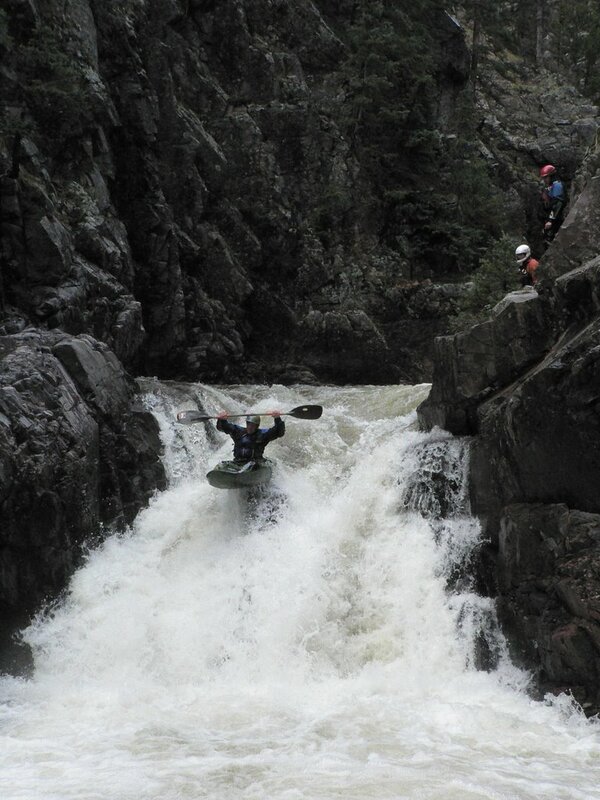 Luckily, the Durango area got a little redemption in the form of a 7,000 cfs mid-October flow on the Animas. 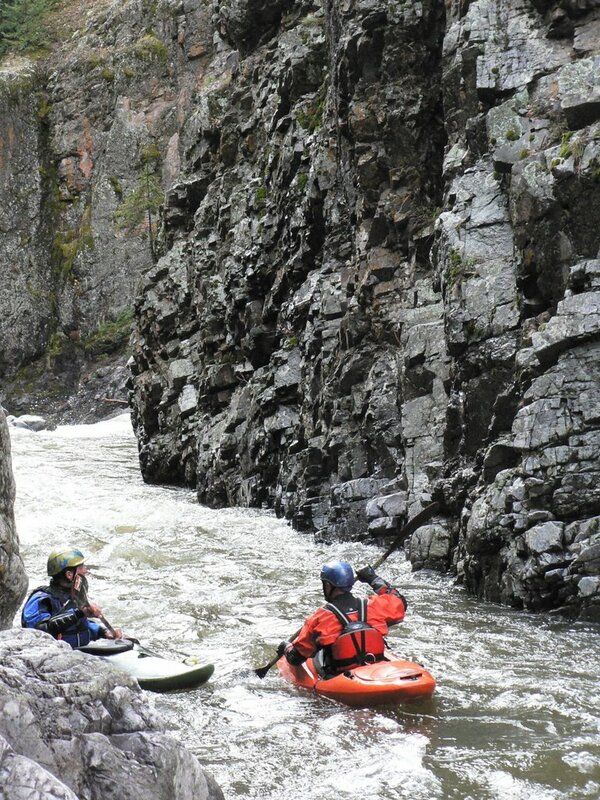 Paddlers from around the state enjoyed great playboating and creeking with views of snowcapped peaks and drives through blizzards and snowy passes. A few of the year-round CKS staff got out to enjoy the late season high-water event and meet some new friends. CKS Manager and Web developper Chris Menges enjoyed 2 days on Lime Creek while Joe Carrol (customer service and purchasing) and International Sales Jefe Raul Buenaventura got their end of season fix on the Piedra. The first day of the Lime Creek runs, a group of 7 put in (in 2 groups) with 3 inches of snow on the ground. 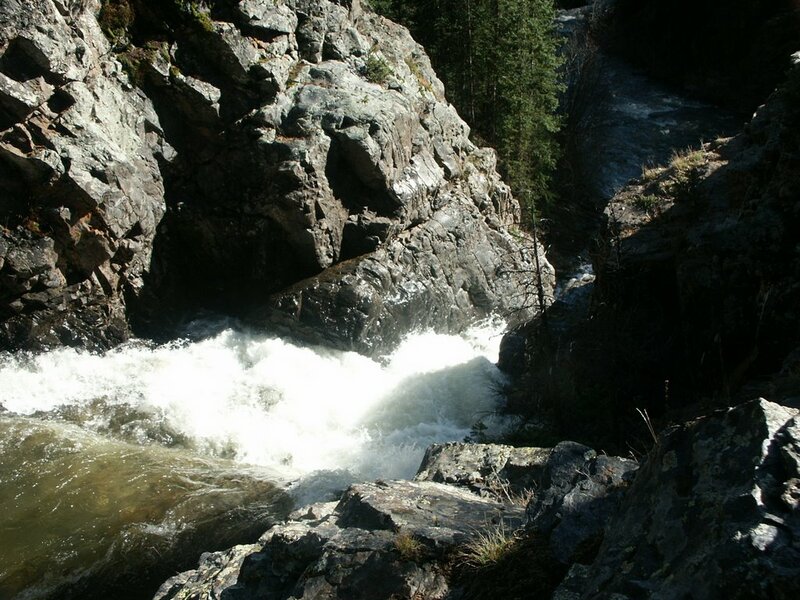 I had driven for 5 hours over 3 snowy mountain passes to get to the creek by noon, throw on a drysuit and paddle down to the entrance rapids of Adrenaline falls. Entrance to Adrenaline Falls. Photo: Chris Menges. 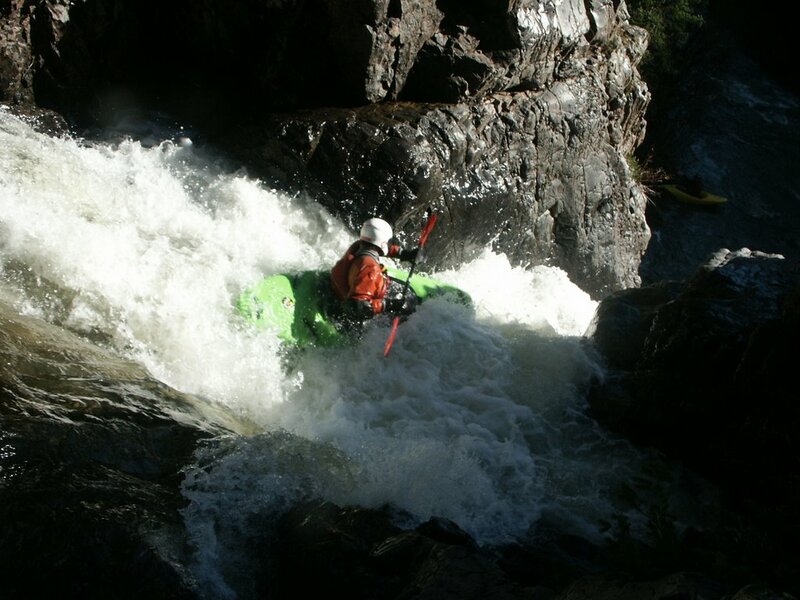 Arriving at Adrenaline Falls is always an ‘exciting’ experience. It’s a 20 foot crack drop with a tricky entrance. As seen in the photo above, it can be run left down the slide or straight as a boof over the hole. Either way, it is necessary to quickly shift your paddle in order to fit through the crack. The drop is shown here at a medium-low level on day 2. 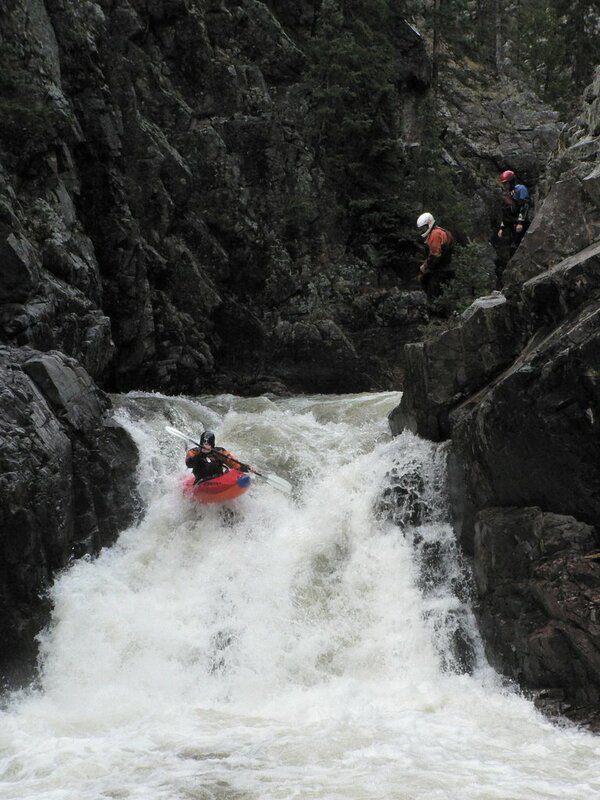 Joe Keck, Mountainbuzz socialite, great paddler and all around nice guy had a great first line off Adrenaline. I think he was siked when he hit the pool at the bottom because all I heard after taking the photo was lots of celebratory hooting. Chris Menges, Dragons Back. Photo: Scotty Baker. Nice gorge scenery after Dragon’s Back. It was nice and warm too (about 40 deg.). Photo: Scotty Baker. 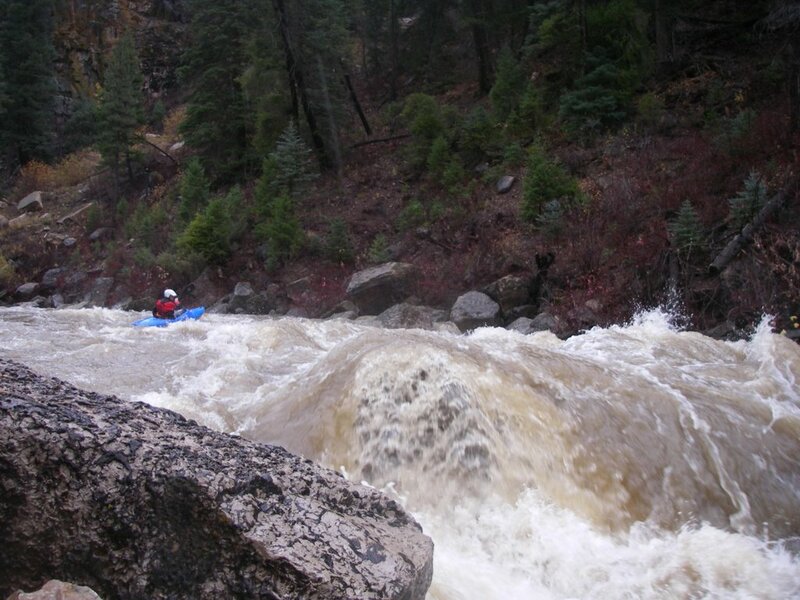 CKS Staffers Joe Carrol and Raul Buenaventura took advantage of the mid-october storm to get a nice high-water run in on the Piedra River between Durango and Pagosa Springs, Colorado. Raul Buenaventura checks out the Piedra’s beautifull gorge and waterfall scenery for the first time. He is giving up a summer in his native Chile to be with us at CKS this winter. Thanks Raul! 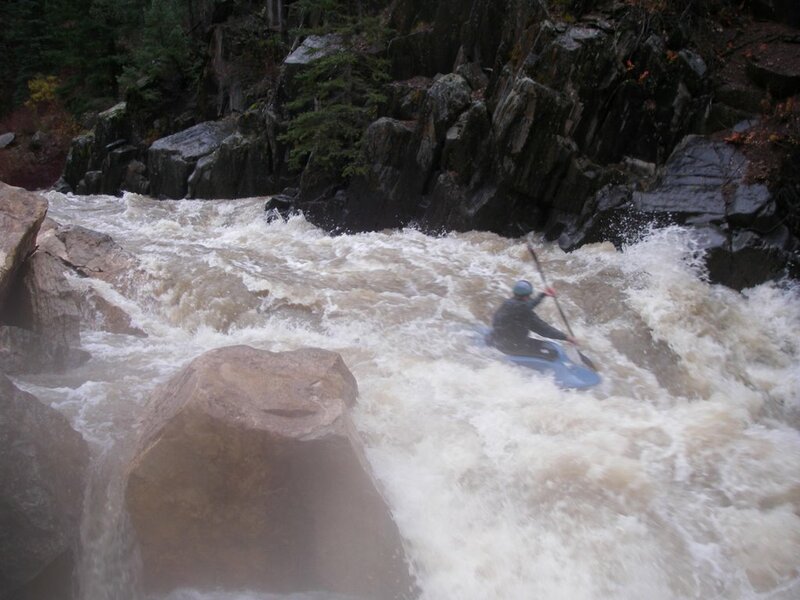 Joe Carrol paddles his happy All Star into some high-water Piedra action. Photo: Raul Buenaventura. Joe Carrol, pictured above is going into his 8th month as a key part of the CKS sales, management and inventory team. He is about to experience his first full winter in beautifull Chaffee county, Colorado. They dont call it ‘chafe-me’ county for nothin.’ We know you are ready Joe! On the return home the boys got a good taste of winter on Wolf Creek pass. 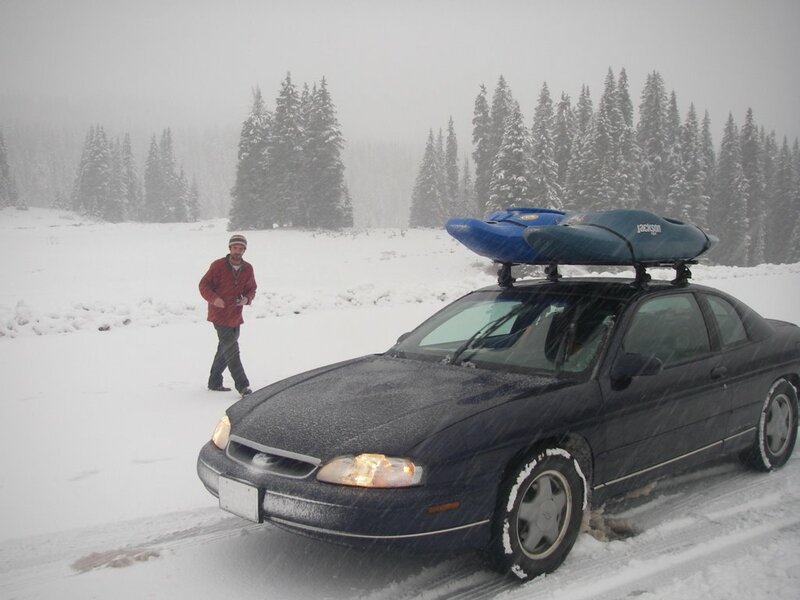 Joe’s ‘Monte Carlo’ rallied through the white stuff like a champ, further proving Joe’s theory that is the ideal boating/snow car for Colorado.